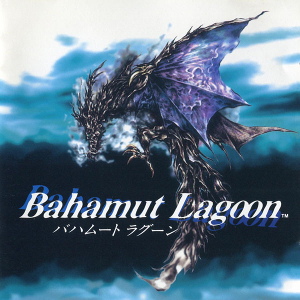 How would you describe the Bahamut Lagoon Original Soundtrack? That’s a difficult question to answer, indeed. This is one of the few soundtracks from Noriko Matsueda that didn’t gather much attention, and that’s a shame. Why, you ask? Read on to find out. The music in Bahamut Lagoon is very epic, as it has a medieval setting, something I’m very fond of. The “Opening” theme is breathtaking and it fits the visual effects really well. For fans of strategy RPGs, you’ll be served a full plate of militaristic music. An excellent example of this would be “Kanna Army,” which is used for the battlefield mode. The use of the drum machine here simply gives the player the impression that he’s really planning some tactic to overcome the enemy, which is the Granbelos Empire. “Sauzer’s Theme” is an inaccurate title; it hardly plays when Sauzer has the spotlight. It’s more of a theme for the generals of the Granbelos Army. It does give off a feel of uneasiness, which fits their motives just fine. “Friendship” actually IS Sauzer’s theme and it’s a first in RPG History to my knowledge, because a villain was never granted a beautiful melody, in contrast to the usually evil/brooding themes. It’s an interesting change. “Gudruff’s Theme” (known as Gudluf in the game) is actually another villain’s theme; however, this one is of the evil/brooding kind, and it does represent the vile Gudruff all too well. An obvious interest in all RPG soundtracks are the battle themes. 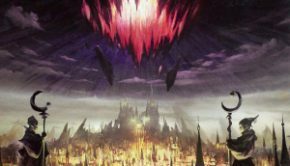 Does Bahamut Lagoon‘s do their part? Of course! These are among the best battle themes coming from Square Enix (SNES-era speaking, of course). The “Boss Battle” theme is a personal favorite. It gives off a sense of danger and urgency as you do your best to survive in battle. “Battle with Alexander” is another battle theme that stands out and, while it may be short, it makes up for it by sounding just plain good. Another large part of RPG soundtracks are the town themes. Well, Bahamut Lagoon has some good ones, as well as (unfortunately) some bad ones. “The Green Continent Campbell” is very soothing and reflects the peaceful town. Just lovely. 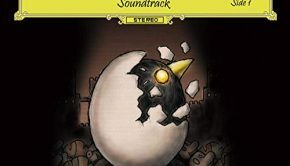 Another popular aspect of RPG soundtracks are the character themes. Yet again, Bahamut Lagoon‘s stand firmly on their own. “Jojo’s Theme” is simply a light, peaceful track; of course, the princess has that particular trait, so it fits her well. “Little Nori-Chan’s Appearance” is actually Donphan’s theme, who just cannot stop flirting with the ladies. As he provides a good chunk of comic relief, it’s just normal he gets such a hilarious theme. “Matelight’s Theme” (known as Materite in the game) has a much more serious and military tone. This is played when he gives the crew a briefing or training session — it does its job. That’s pretty much it. Wait. There is a second disc? Why yes, it contains two orchestral arrangements, of the “Opening” theme and “Jojo and God Dragons,” respectively. They are basically just souped-up versions of the themes and I’m not really ‘that’ impressed. And we get two bits of about 15 to 20 seconds of the arrangement Ending parts. Why did they do this? Heh, your guess is as good as mine. All in all, I truly believe this soundtrack is worth picking up, mostly because it’s from Square Enix, but also because it’s pretty original for an RPG. Want this soundtrack? There’s only eBay. All I can say is good luck — you’ll need it as this soundtrack has become extremely rare like other CDs of the same year, Rudra’s Hidden Treasure and Treasure Hunter G.
Posted on August 1, 2012 by Luc Nadeau. Last modified on January 22, 2016.